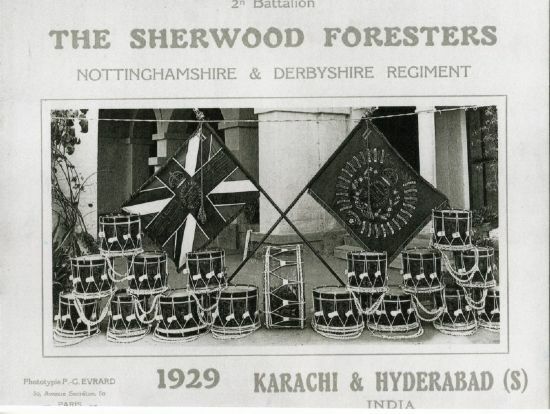 The photos and items on this page have been kindly sent in by Roy Carter of Derby, who`s father name was Percy Thomas Carter ( was also known as Gerry) he enlisted in the Sherwood Foresters as a Private in 1919, serving for 27 years, ending his career with the rank of Major. 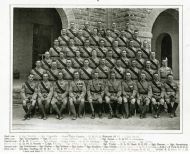 He served with the 2nd, 5th, 8th and 14th Battalions. 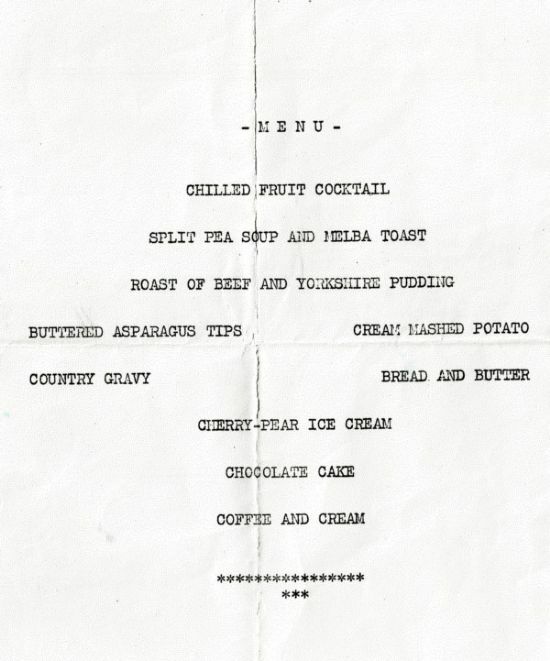 Below is a copy of Roy Carter`s notes.
" India 1922 to 1934, straight to Sudan from Bombay for 2 years, Sudan to Guernsey for 1 year." 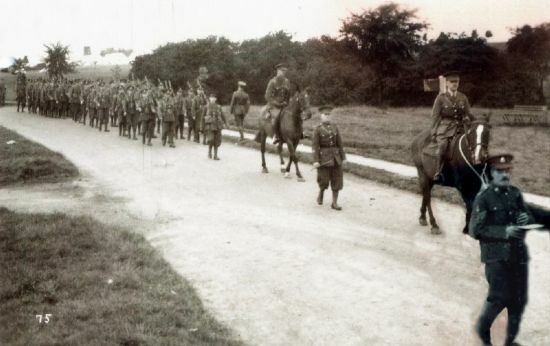 "Church parade Newark Notts 1936 my Father having come back from Guernsey with 2 years left to serve was posted to run on a day to day basis the territorials at Newark. 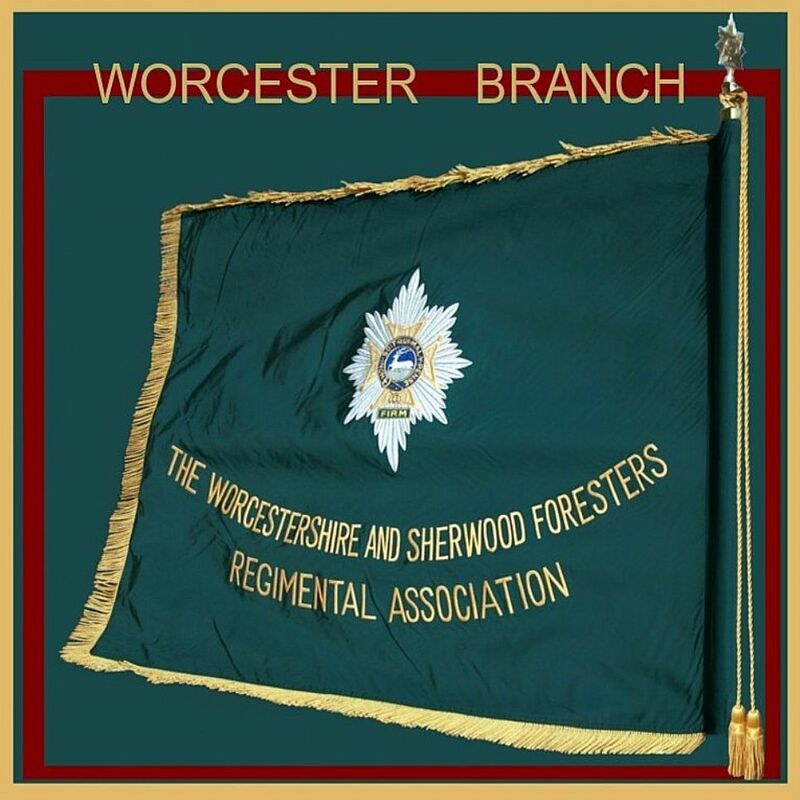 He was at that time an RSM, on declaration of war he was recalled back to the Battalion in Derby anf promoted to Lieutenant. 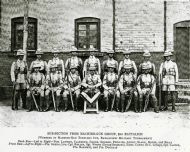 Nearly all the men seen on that parade (photo No.22 ) were sent to the Norway Expedition and were captured. 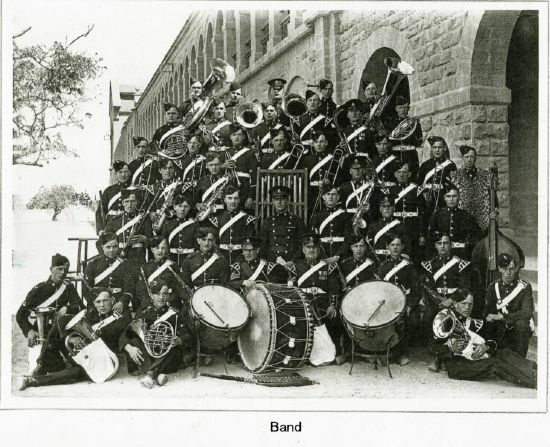 My father is 3rd from right (marching). 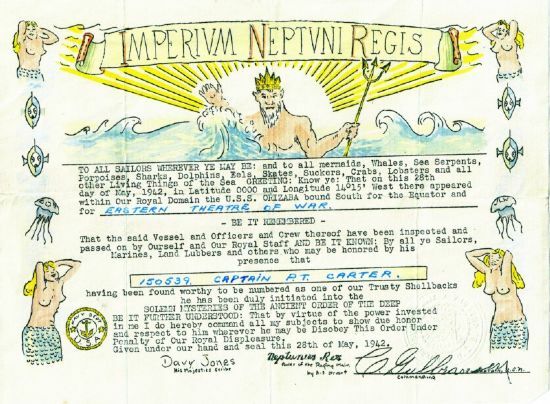 When the Battalion sailed from Scotland for North Africa in 1942 they were kept at sea for 3 months due to change of orders from London. They were diverted to Bombay, then went to Durban for repairs to the ship which took a week. 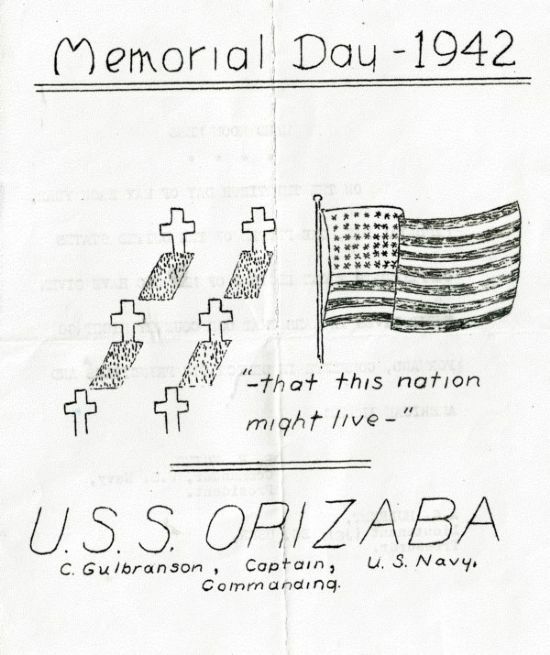 The ship was the `USS Orizaba' and I enclose a copy of the Memorial Day Menu for the Officers Mess (Navy) Which included the Foresters". 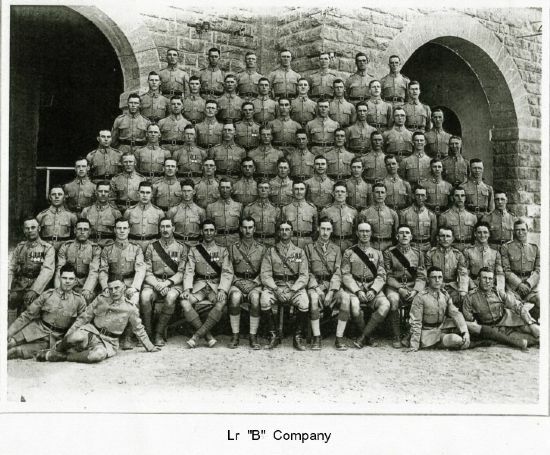 There are 2 photos which did not print from 2nd Battalion 1929, No.1 `The Corporals' No.2 `The Road Company'. 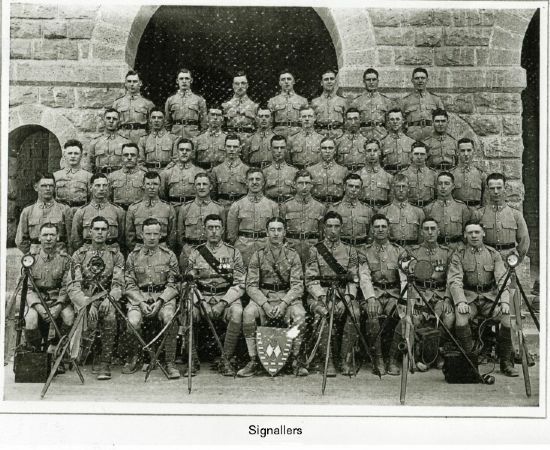 A big thankyou to Roy Carter for sharing this piece of Regimental history with us. 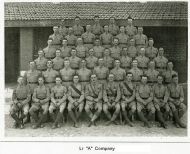 Fifth row:- Sgt Cunningham.-Sgt. Howard.-L/Sgt Spencer.-Sgt. Sewell.-L/sgt. Green.- C.Q.M.S. Chambers. Fourth row:- C.S.M. Crowder.-Sgt. Adams.-L/Sgt. Pratt.- C.S.M. 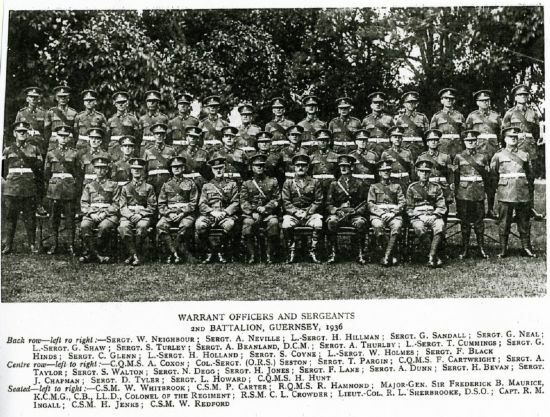 Newbury.- Sgt. Lane.-L/Sgt. Ingram.- Sgt. Carter. Third row:- C.Q.M.S. Howell.- L/Sgt. Thurlby.- Sgt. White.- Sgt. Johnston.- Sgt. Taylor.- C.S.M. 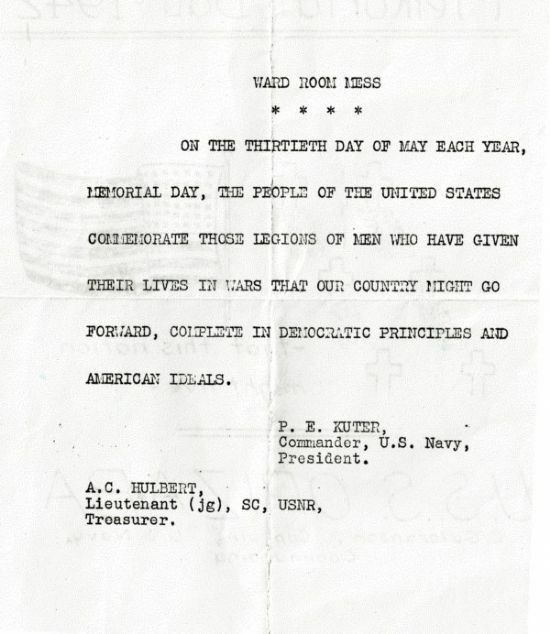 Hunt D.C.M.- Sgt. Banner.- Sgt Armstrong. Second row:- Sgt. Whitbrook.- Sgt. Seston.- Sgt. Wilson.- Sgt. Jenks.- Sgt. Staddon.- Sgt. Neville.- L/Sgt. Grey.- C.Q.M.S. Wright.- A/Q.M.S. Ford.R.A.O.C. First row:- Col-Sgt. Cooling.(O.R.S. ).- C.S.M. (I. M.) Allen.- R.Q.M.S. Hammond.- R.S.M. Jones. 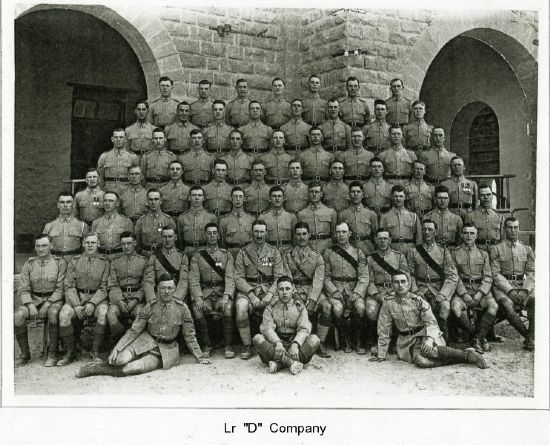 D.C.M.- Lt. Col. R.S. Hart. 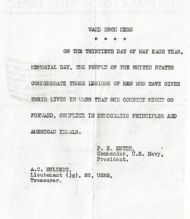 D.S.O.- Lieut. and Adjt. H.G. Fowler.-Bandmaster Harway. W.O. Instr. H.G. 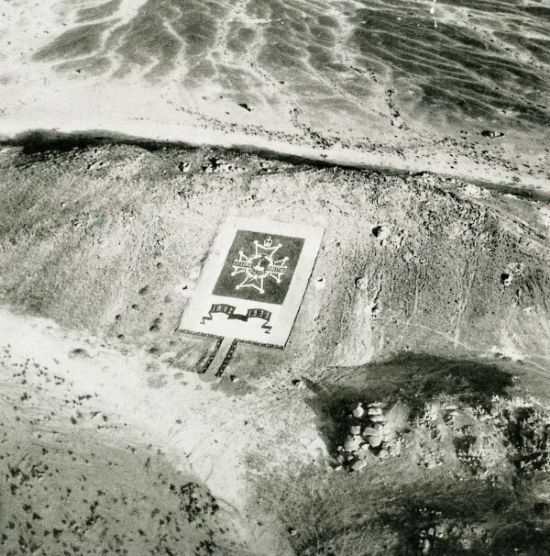 Riglen A.E.C. ; Sgt. Dunkerley; Bd Sgt. Bennett. Back row left to right:- Sgt. Thurlby, Sgt Joynes, Sgt. Ingram, L/Sgt. 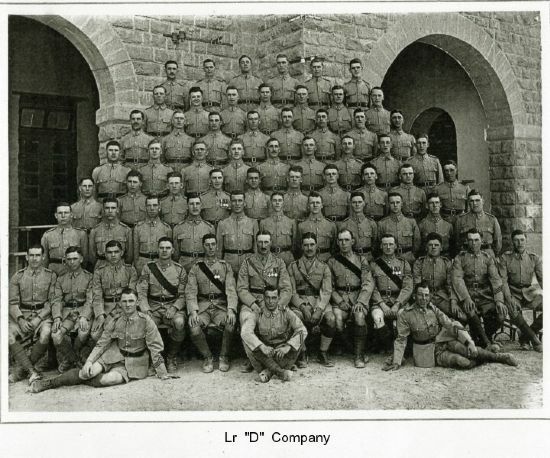 Degg, L/Sgt. Briggs, L/Sgt. Robinson (RAOC), Sgt. 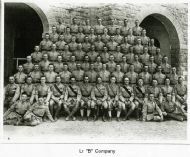 Booth, L/Sgt. W. Green. 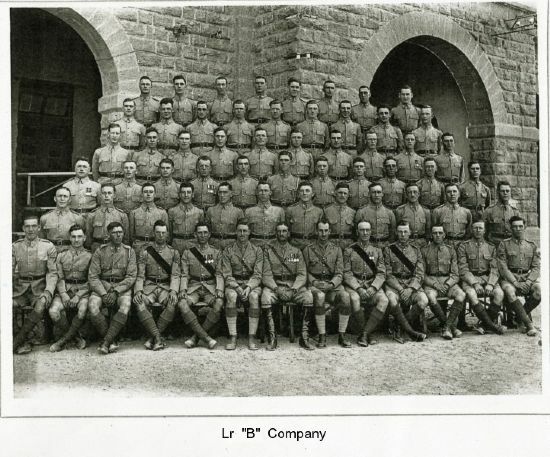 Fourth row left to right:- Sgt. 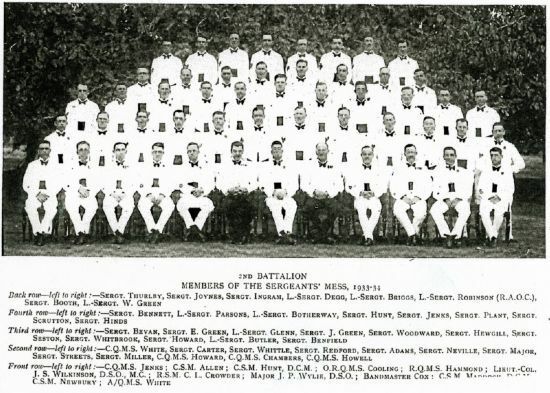 Bennett, L/Sgt Parsons, L/Sgt. Botherway, Sgt. Hunt, Sgt. Jenks, Sgt. Plant, Sgt. 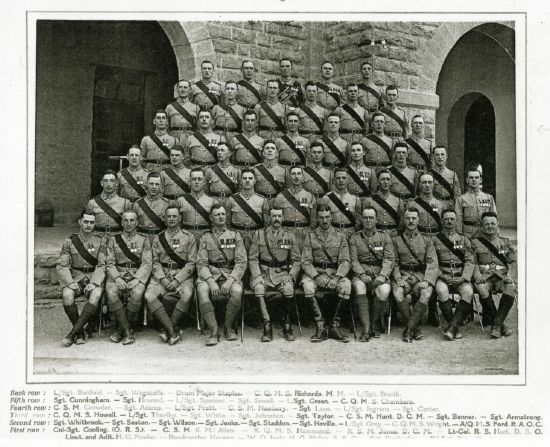 Scrutton, Sgt. Hinds. 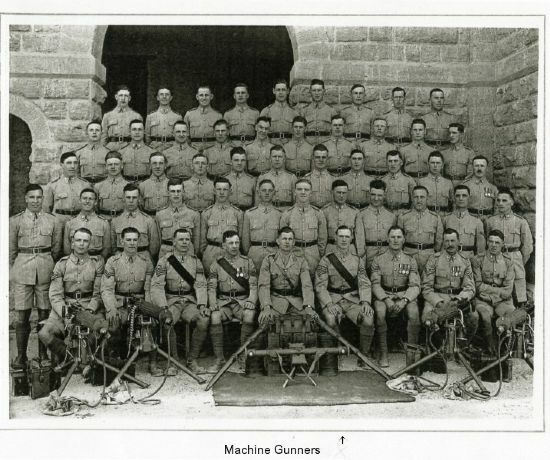 Third row left to right:- Sgt. 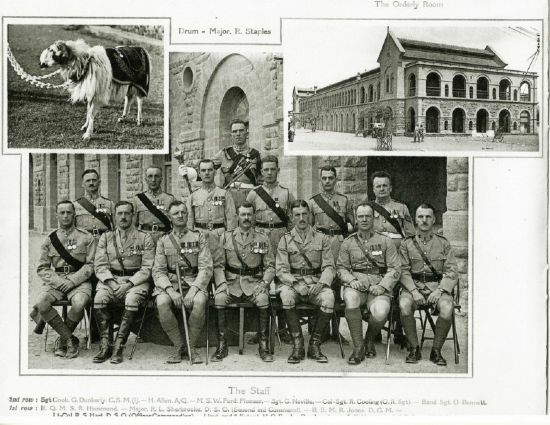 Bevan, Sgt.E. Green, L/Sgt. Glenn, Sgt. J. Green, Sgt. Woodward, Sgt. 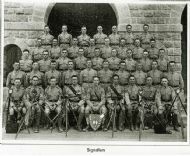 Hewgill, Sgt Seston, Sgt, WhitBrook, Sgt. Howard, L/Sgt. Butler, Sgt. Benfield. Second row left to right:- C.Q.M.S. White, Sgt. Carter, Sgt. Whittle, Sgt. Redford, Sgt. Adams, Sgt. Neville, Sgt. Major, Sgt. Streets, Sgt. Miller, C.Q.M.S. Howard, C.Q.M.S. Chambers, C.Q.M.S. Howell. Front row left to right:- C.Q.M.S. Jenks; C.S.M. Allen; C.S.M. 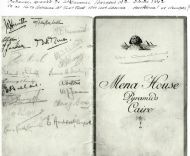 Hunt.D.C.M; O.R.Q.M.S. Cooling; R.Q.M.S. Hammond; Lieut-Col. J.S. Wilkinson.D.S.O.,M.C. ; R.S.M. Crowder; Major J.P. Wylie,D.S.O. 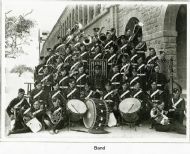 ; Bandmaster. Cox; C.S.M. Maddox.D.C.M. ; C.S.M. Newbury; A/Q.M.S. White. 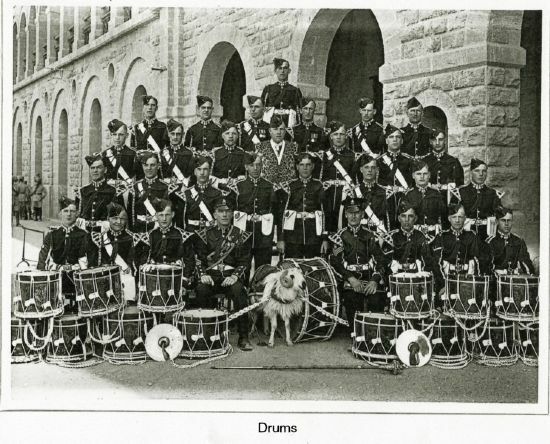 Back row L to R:- Sgt. W. Neighbour; Sgt. 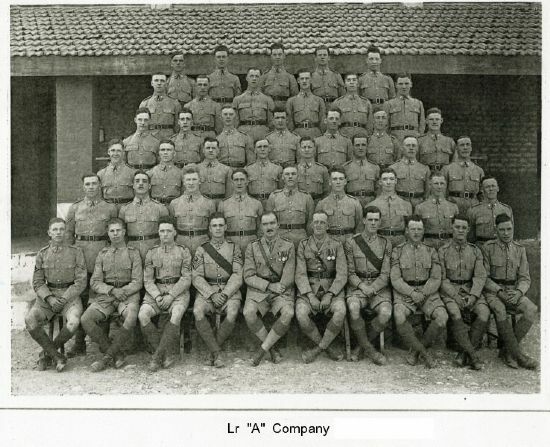 A. Neville; L/Sgt. H. Hillman; Sgt. 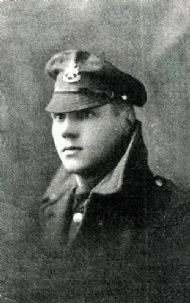 G. Sandall; Sgt. 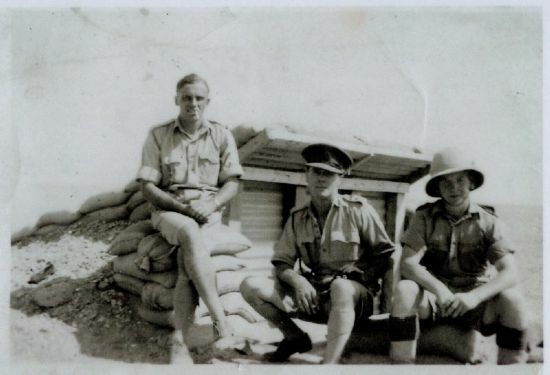 G. Neal; L/Sgt G. Shaw; Sgt. S. Turley; Sgt. A. Beanland,D.C.M. ; Sgt. 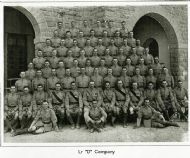 A. Thurlby; L/Sgt. T. Cummings; Sgt. G. Hinds; Sgt. 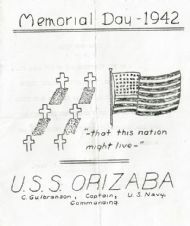 C. Glenn; L/ Sgt. H. Holland; Sgt. 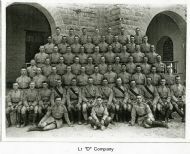 S. Coyne; L/Sgt. W. Holmes; Sgt F. Black. 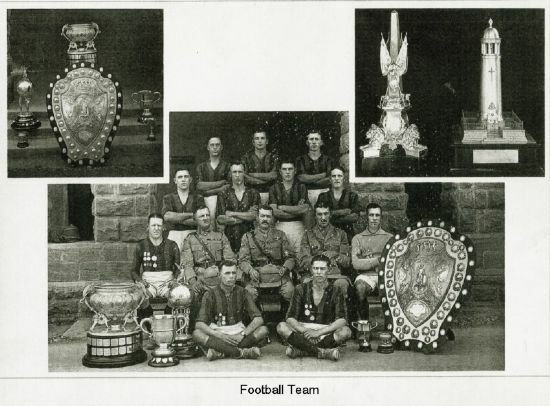 Centre row L to R: C.Q.M.S. 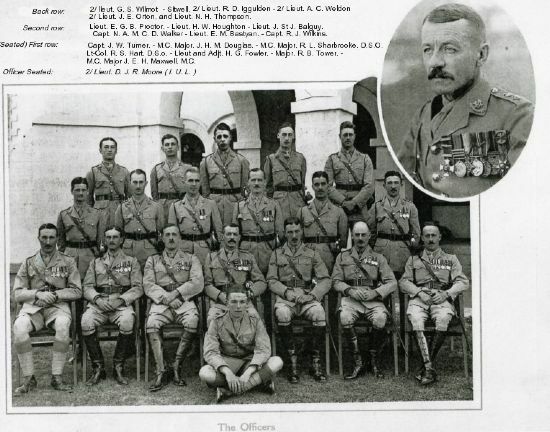 A. Coxon; Col/Sgt. (ORS) Seston; Sgt. T. Pargin; C.Q.M.S. F. Cartwright; Sgt. A. Taylor; Sgt. S. Walton; Sgt. N. Degg; Sgt. H. Jones; Sgt. 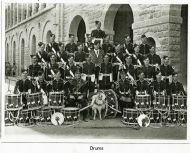 F. Lane; Sgt A Dunn; Sgt. 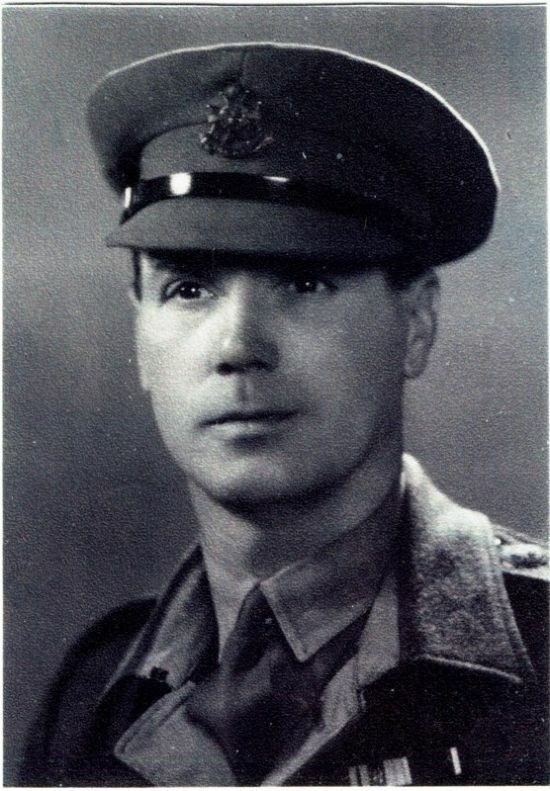 H. Bevan; Sgt. J. Chapman; Sgt. D. Tyler; Sgt. L. Howard; C.Q.M.S. H. Hunt. Seated L to R:- C.S.M. W. Whitbrook; C.S.M. P. Carter; R.Q.M.S. R. Hammond; Maj-Gen. Sir Frederick B. Maurice, K.C.M.G.,C.B.,LL.D.,Colonel of the Regiment; R.S.M. C.L. Crowder; Lieut-Col R.L. Sherbrooke,D.S.O. ; Capt. R.M. Ingall; C.S.M. H. Jenks; C.S.M. W. Redford. 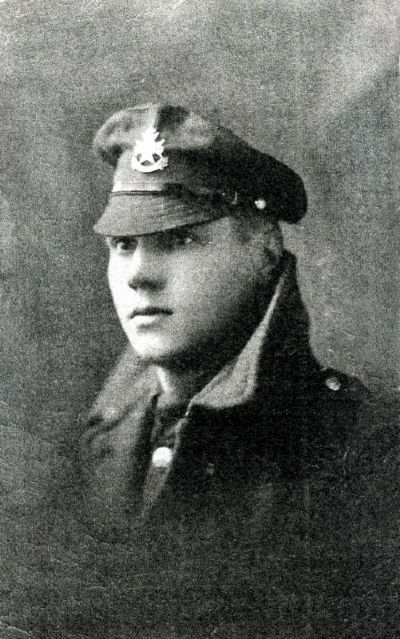 Percy Carter at Liverpool, aged 18. 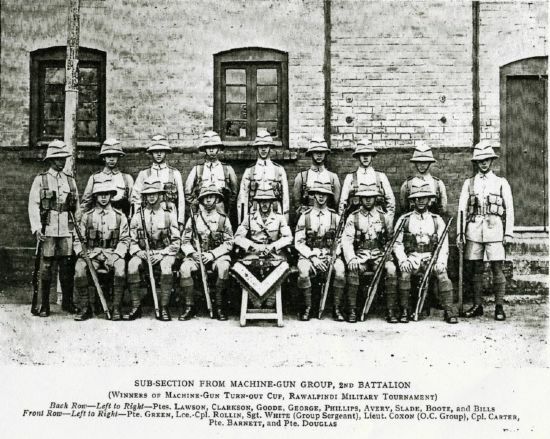 Winners Sub Section From Machine Gun Group. Dalhousie Northern India, Where Roy Carter was born. 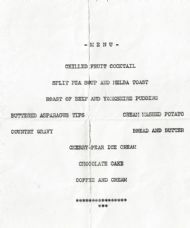 Approx 1935. 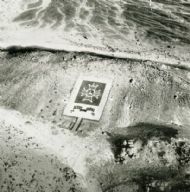 Hillside Badge at Gebiet, Sudan. Newark 1937. 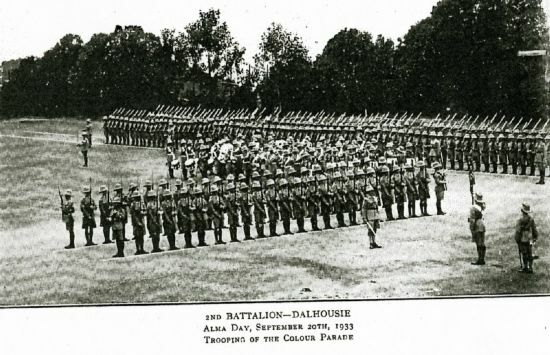 Church Parade, Territorial`s 8th Battalion ?. 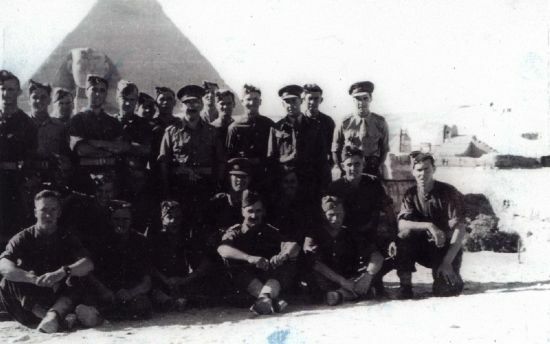 Cairo 1942. 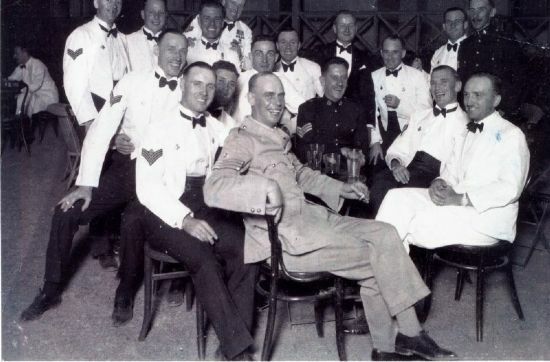 Farewell dinner for Lt. Col. Andrews M.C. 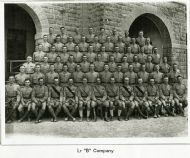 CO. of 14th Battalion at that time leaving New Posting? / wounded?. 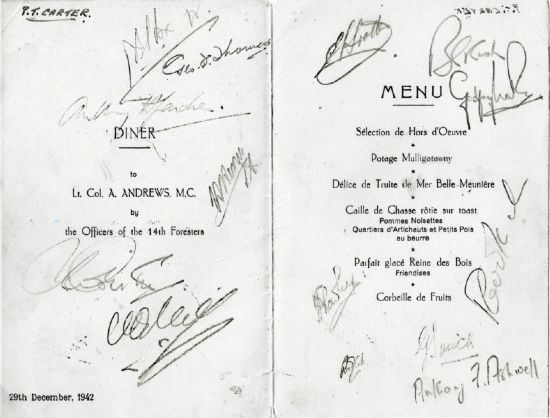 Cairo 1942. signatures for Lt. Col. Andrews M.C.